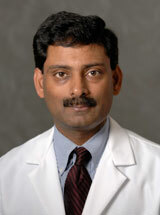 Dr. Panganamamula is employed by Penn Medicine. Sherif Elhanafi1, Nadim Mahmud1, Gregory G Ginsberg1, Nuzhat Ahmad1, Michael Rajala1, Kashyap Panganamamula1, Immanuel Ho1, Michael L. Kochman1, and Vinay Chandrasekhara2. : The Role of EUS-Guided Tissue Acquisition for Genomic Analysis of Pancreatic Adenocarcinoma: Implications for Personalized Medicine DDW 2018 : 2018. Thiruvengadam NR, Forde KA, Ma GK, Ahmad N, Chandrasekhara V, Ginsberg GG, Ho IK, Jaffe D, Panganamamula KV, Kochman ML. 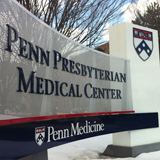 : Rectal Indomethacin Reduces Pancreatitis in High- and Low-Risk Patients Undergoing Endoscopic Retrograde Cholangiopancreatography. Gastroenterology 151 (2): 288-297,2016. McConnell RA, Kim S, Ahmad NA, Falk GW, Forde KA, Ginsberg GG, Jaffe DL, Makar GA, Long WB, Panganamamula KV, Kochman ML: Poor discriminatory function for endoscopic skills on a computer-based simulator. . 76(5):993-1002, November 2012 Gastrointestinal Endoscopy 76 (5): 993-1002,2012. Ryan McConnell*, Stephen Kim, Nuzhat A. Ahmad, Gary W. Falk, Kimberly A. Forde, Gregory G. Ginsberg, David L. Jaffe, George, Makar, Willaim B. Long, Kashyap Panaganamamula, Michael L., Kochman: Lack of Discriminatory Function for Endoscopy Skills on a Computer-Based Simulator Presented at DDW 2011 : 2011. Anandappa HK, Korimilli A, Panganamamula K, Friedenberg F, and Miller L.: Acoustic liver biopsy using endoscopic ultrasound. Dig Dis Sci. 53 (4): 1078-83,2008. Parkman HP and Disher RS: Gastroparesis: Presentation, Evaluarion, and Management In: The Clinician's guide to Acip/Peptic Disorders and Motility Disorders of the Gastrointestinal Tract. : 2006. Panganamamula KV and Parkman HP: Chronic Intestinal Pseudo-Obstruction Current Treatment Options in Gastroenterology 8 (1): 3-11,2005. Hrair P. Simonian, Kashyap Panganamamula, Henry P. Parkman, Xiaohong Xu, Jiande Z. Chen, Greger Lindberg, Hui Xu, Chi Shao, Mei-Yun Ke, Michael Lykke, Per Hansen, Bjorn Barner and Henrik Buhl: Multichannel Electrogastrography (EGG) in Normal Subjects: A Multicenter Study Dig Dis Sci 49 (4): 594-601,2004. Hrair P Simonian, Kashyap Panganamamula, Jiande Z Chen, Robert S Fisher and Henry P Parkman: Multichannel Electrogastrography (EGG) in symptomatic patients: A single center Study Am J Gastoenterol 99 (3): 478-485,2004. Larry Miller, Felice L Banson, Khalid Bazir, Anapurna Korimilli, Ji-Bin Liu, Richa Dewan, Michael Wolfson, Kashyap V Panganamamula, Jose Carrasquillo, Jonathan Schwartz, Albert E Chaker and Martin Black: Risk of esophageal variceal bleeding based on endoscopic ultrasound evaulation of the sum of esophageal variceal cross-sectional surface area. Am J Gastroenterol 98 (2): 454-459,2003.